Posted on September 15, 2013 by R.T. 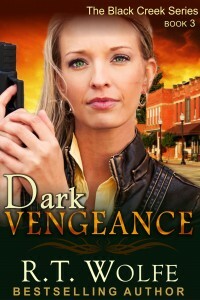 The final installment in the romantic suspense Black Creek Series, Dark Vengeance, was released just a few weeks ago. Here are a few of the blogs who offered me a guest appearance. Thank you, Claranne, Joyce and Jessica! 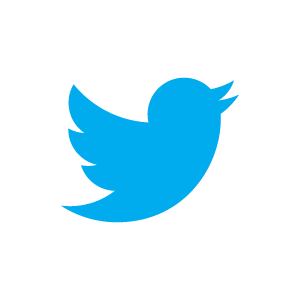 You have created lovely blogs! “Ending a Series” on Blame it on the Muse. “Research is an Author’s Best Friend” on USA Today’s Happy Ever After Blog. “What Do My Novels Teach?” on Books with Benefits. Coming up: Harlie’s Book Blog and Musings from an Addicted Reader. 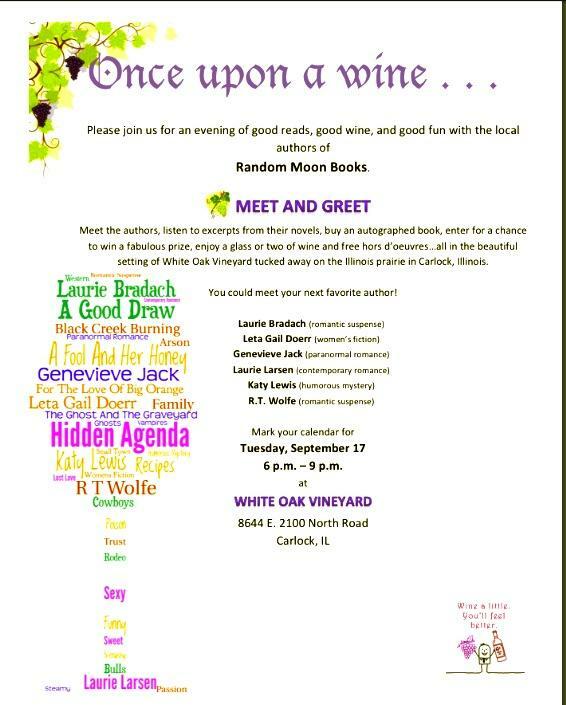 I have two book signings this week. If you are in the area, stop by. I’d love to see you! I’ll be there with five other romance authors from 6:00 p.m. to 9:00 p.m. Wine and a book…it sounds just about right. You’ll find me sipping my other vice … coffee! … from 7:00 to 8:00 p.m. Come join me if you’re in the area! 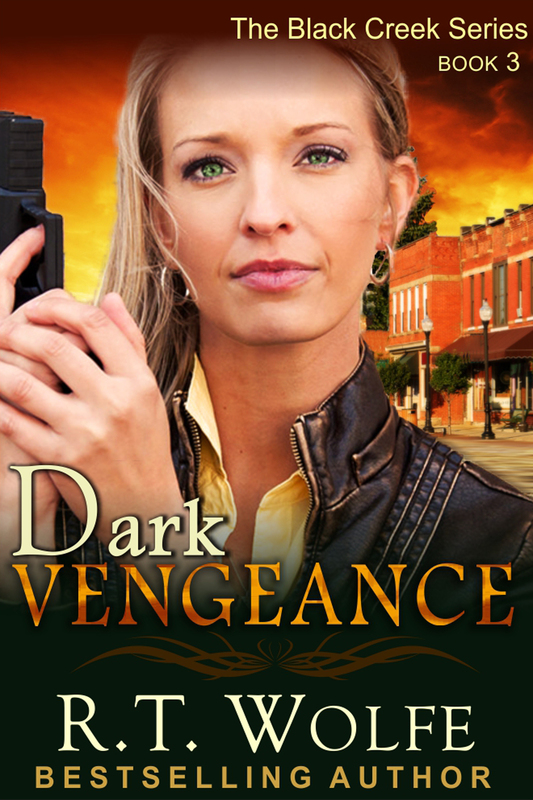 This entry was posted in Black Creek Series, Dark Vengeance, News and tagged Black Creek Series, Blog, Dark Vengeance, Detective, Mystery, R.T. Wolfe, Romance, Romantic Suspense, Suspense. Bookmark the permalink.